Hotbird transmission now in MPEG-4 - All Hotbird viewers require HD set top box. 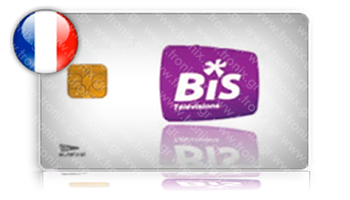 BIS TV includes everyone’s favourite French channel TF1. This package has a varied mix of genres for the whole family, available on Hotbird 13° east and Atlantic Bird at 5° west. Gain access to superb mix of 34 French channels from the French TNT and AB SAT packages, including 2 High Definition channels, via HotBird 13° East or Atlantic Bird 5° West.